The Underground’s mixed-genre events are always great for discovering new music, but sometimes a band gets booked that makes you want to give Chris B a big fat smooch. Fourth on the bill, Ninetynine Floor’s set could have easily been lost and forgotten in the middle of a nine-act night – had it not been for a show that left punters’ mouths agape. The band’s sound broadly falls under the shoegaze genre, but the colossal soundscapes were more akin to Sigur Ros and God Is An Astronaut than Swervedriver. Singer/guitarist Cher’s shy and unassuming demeanour translated into a captivatingly introverted delivery style. Standing stage-left, he seemed to want to conceal his role, letting bassist Monk absorb the room’s gaze – though every player’s performance was utterly memorable. Opener Orange Vortex was an atmospheric opener of echoes, sparse notes and unintelligibly soft vocals. Heavily distorted, feedback-laden chords were layered to create a drugged and dreamy duvet that tumbled comfortingly around the audience. Next it was time to tuck everybody in, and what better way to do it than with Evey’s lulling arpeggios – even the band members closed their eyes. Not far into the slumber, the song suddenly awoke to the sound of crashing drumming recalling Smashing Pumpkins’ melancholy era. The audio from the V-meets-Evey scene from V For Vendetta added a theatrical touch to the song, which continued in an meditative, progressive vein as guitarist Chan’s tremolo chords sounded out. Owing to the roughly 40 effects pedals on stage, the band was able to conjure a vast range of moods. Happy People – at points like Radiohead’s Pyramid Song in a major key – toyed with the emotions: Envy Corps-style bittersweet melodies stemmed into sombrely slurred sorrowful singing, as if the song was some kind of elegy to loss. 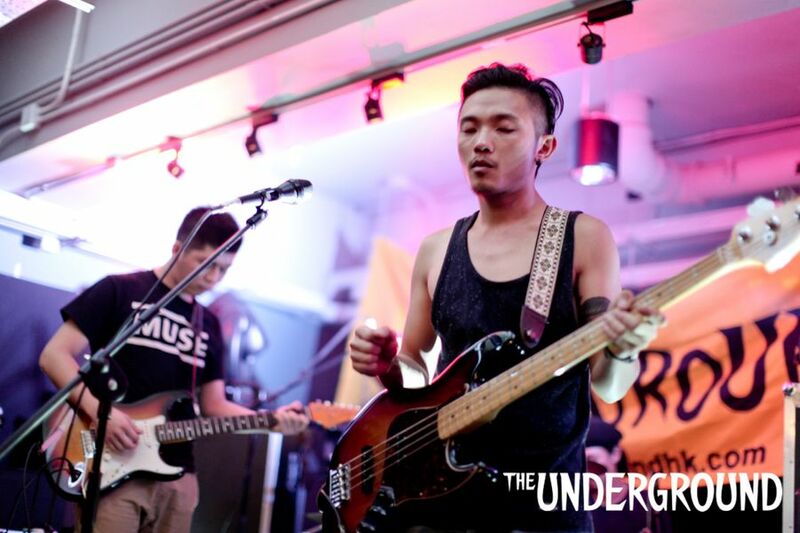 Drummer Kiu made his job look effortless, imparting loose beats and whispering cymbals. Wallowing in a deep pool of thought, Cigarette was a calm yet tragic, anaemic yet impassioned finale. Cher’s voice fluttered like a skeleton leaf on the wind, gasping Jonsi-esque lyrics into a lonesome, desolate soundscape. From start to finish – with four perfect songs – Ninetynine Floor’s whole set was like being rocked gently in the midst of grief. Like Explosions In The Sky’s Birth and Death of the Day, when the tremolo tidal wave broke, it was transcendent. Ninetynine Floor started with a short self-titled level check number, and its frantically-strummed, slightly weird-out feel was the perfect way to introduce themselves to the audience. Their sound is clearly inspired by Radiohead and their ilk, with its oddly static, floaty feel, but also with the Suede/Blur-y side of britpop adding some punch to proceedings, as on A.I.. The result is a hard-hitting soundscape, very much like that from the early 90s. And it would be a bit too much so, if it weren’t for some unique elements they’ve managed to include. The singer has a strange, thin voice with a papery quality, almost whiney in the vein of Jewel, but in a likeable way. The lead guitarist tend to play towards the higher end of the fretboard, with an almost-math-rock approach, using a wall of short notes to create an undulating, shimmering yet weighty feeling, while the singer’s style of soloing is to play melodies of an almost tragic-heroic nature, soaring and affecting, as on Run Run Run. These elements combine well with the fact that they play a few genuinely sad-feeling (as opposed to broody tunes, which is a far more popular approach), giving their set some real thrust. Cold Night was a bouncy, joyous number, but with the same richness of atmosphere and a celebratory feel, making it catchy and upbeat, almost like fIREHOSE. This was perhaps brought out best in the song that wasn’t so, Dying Rose, which was gentler in its emotional momentum, vaguely Killers-like, and with its trite lyrics was just okay. However the deep colour that their songs tend to have was still there, so it wasn’t an intolerable departure from quality. Still, it would’ve been served better if the song had a bit of punch. One might be tempted at this point to tag their music as overly derivative of the britpop style and in terms of pure stylistic tendencies, this might not be entirely unjustified. However, they have already developed significant unconventional features, and I would imagine that they would only get better with time. I’d rather describe them as trying to sound like,for instance, Radiohead, without actually copying them, which is at least worth a listen. All in all, they’re a winning band with some distinct and interesting things to say musically, and they certainly impressed on the night.